Olive Zaitun Muse is a responsive muse HTML template, it has clean ,elegant design and look classy, with nice and smooth color combination. 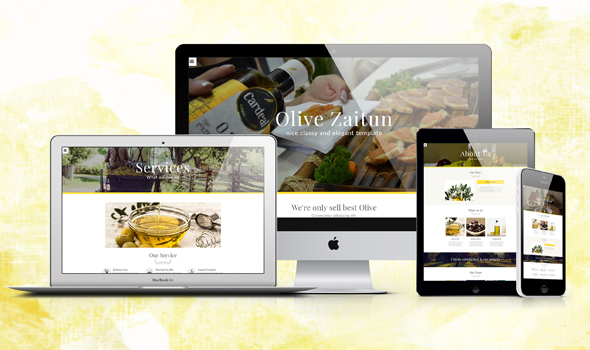 Olive Zaitun Muse has responsive feature because it has some breakpoints for desktop, tablet and phone size. Olive Zaitun Muse suitable for olive oil company, restaurant, farm, online shop, food production business or for many other purpose. The page is designed eye-catching, calming color with minimal color combination.